The Portal series is one of my favorite videogame series of all time. 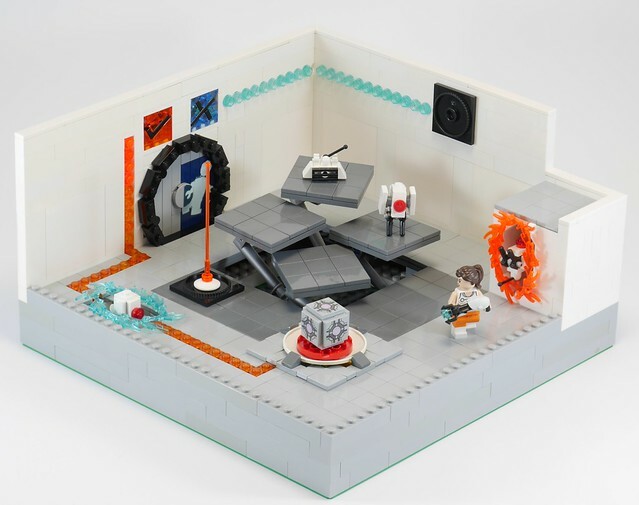 It was a very pleasant surprise when LEGO made an official Portal pack for Dimensions. Anthony Wilson made a pretty stellar moc based on the games. I love the brick-built digital readouts above the door (which sports a great custom decal), and I much prefer these Turret designs over the LEGO Dimensions version.